Seminar: A lot can happen in 21 years in culture, ethnicity & health! Thank you everyone who attended the seminar. It was a fantastic evening with inspirational speakers and thought-provoking discussion. It was very interesting, reflections from two generations was enlightening. The speakers gave varied insightful perspectives and the younger respondents added an exciting inspired voice. I really enjoyed the atmosphere of the seminar ..active, humorous and sincere as well. (Seminar MC, Ruth was so professional and it was also impressive to me!). It’s always hard to find time for seminars but I believe this one ticked all the boxes. Hearing speakers discuss issues around multicultural identity in Australia in a way that is complex, provocative and thoughtful is rare and needed. Hearing Aboriginal and immigrant perspectives in dialogue without the ‘white’ middleman is even rarer and it was a privilege to hear each of the speakers share their stories and the way that the framing of multiculturalism across generations has impacted on their sense of self. To me it was a meaningful dialogue about something important and real for contemporary Australia. Everyone was able to bring a really varied sense of their experience – which was excellent. I love that the conference touched on the personal experience as well as large overarching events (policy etc). It really reinforced the personal cost (both positive and negative) of the work we are doing in this space, and all that we are advocating for. I think that all the speakers and respondents were terrific, best forum on multiculturalism I have ever attended. Great spectrum of views and great in-depth discussion of both the multiculturalism and reconciliation. 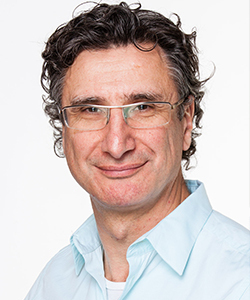 Nikos Papastergiadis is Director of the Research Unit in Public Cultures and Professor at the School of Culture and Communication at the University of Melbourne. Throughout his career, Nikos has provided strategic consultancies for government agencies on issues relating to cultural identity and worked on collaborative projects with artists and theorists of international repute, such as John Berger, Jimmie Durham and Sonya Boyce. His sole authored publications include Modernity as Exile (1993), Dialogues in the Diaspora (1998), The Turbulence of Migration (2000), Metaphor and Tension (2004) Spatial Aesthetics: Art Place and the Everyday (2006), Cosmopolitanism and Culture (2012), Ambient Perspectives (2013). Professor Lynette Russell is an Australian Research Council Professorial Fellow (2011-2016) at Monash University and was visiting fellow at All Souls College Oxford 2014-2015. 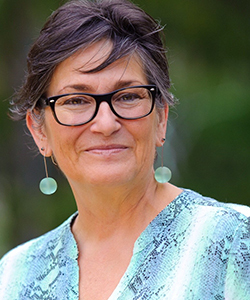 She completed a PhD in history from the University of Melbourne and has taught and researched in the area of historical and Indigenous studies for nearly twenty years. She is author or editor of ten books. Her current work is in the cutting edge area of anthropological history. 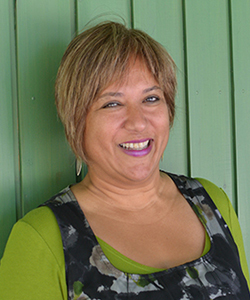 She is an elected fellow of Cambridge University’s Clare Hall, AIATSIS and the Royal Anthropological Institute and the Royal Historical Society. 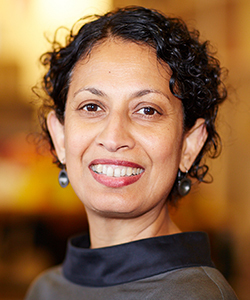 Padmini Sebastian is responsible for leading the award winning Immigration Museum. She continues to focus on creating cultural forums for building understanding and relationships between people from diverse cultural backgrounds that in turn contributes to dynamic and cohesive societies. She has worked extensively in the cultural and community sector, is active on not for profit Boards and Committees and has established extensive national and international partnerships and networks. 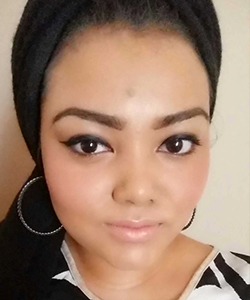 Amena is a Saudi-born Filipino-Sri Lankan currently completing a Bachelor of Arts in International Studies at Monash University. Her interest lies in religion and resistance, third world feminism, and identity politics. Sukhdeep holds a Bachelor of Arts/Bachelor of Law degrees. He has more than seven years’ experience working in the community development sector with a specific focus on young people. He is currently working as the Youth Empowerment Coordinator at the Asylum Seeker Resource Centre and is the current and founding committee member of Young Sikh Professionals Network in Melbourne. 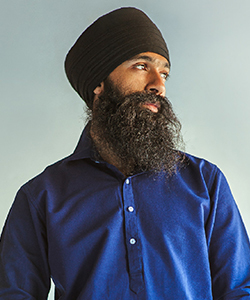 Sukhdeep is the founder of Common Ground, an interfaith spoken word poetry project in partnership with Multicultural Arts Victoria. He is the recent artist in residence with Immigration Museum Victoria for their Talking Difference program: working with schools to engage in conversations about racism and cultural diversity in Australia. L-FRESH The LION is renowned for his powerful presence, inspiring live shows and thought-provoking hip hop lyrics. In a short space of time, this Western Sydney artist has gone from underground community events and ciphers to national tours and major festivals. This seminar has an unique twist! We have invited three speakers who are extraordinary thought-leaders from various backgrounds and three thought-leaders of the future to respond to what’s being said. Our guest speakers will be responding to a series of provocative questions to reflect on the past 21 years and the next 21 years regarding issues around culture, ethnicity and health. We are very excited to also have comedian Nazeem Hussain open this event for us. 1) How have issues of culture, ethnicity and multiculturalism in Australia changed since 1994? 2) What do these changes indicate for the future of culture and multiculturalism? 3) What kinds of responses will be needed in fields such as business, policy, health, education, social services to address these changes? Discount Parking (Monday – Friday – $11 per day) is available at Wilsons Collins Place Car Park located at 30 Flinders Lane and is part of the Collins Place Complex underneath the Sofitel Hotel. Entry is via Flinders Lane from Spring Street. Public transport is easily accessible, Parliament Station is just a short walk from the Conference Centre. 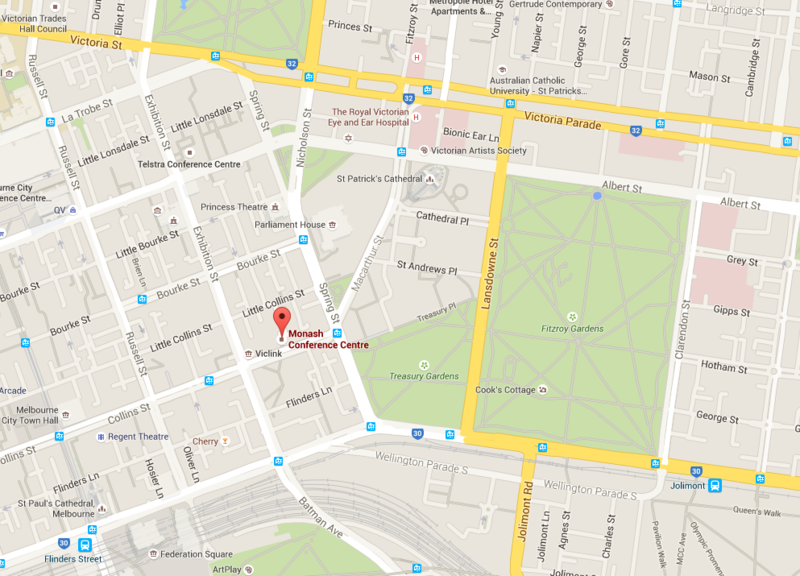 Trams run regularly along Collins Street, catch tram number 109 or 112 and depart at the Spring Street stop.